Computing Essentials 2013...Making IT Work for You! How are you learning about the most important, essential, and current concepts of information technology? 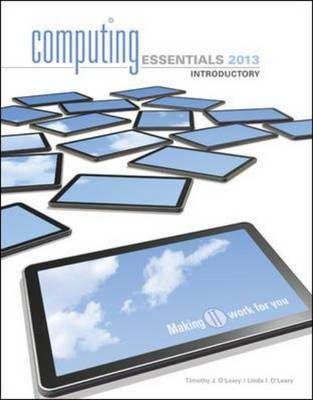 Computing Essentials 2013 allows you to Make IT Work for You through relevant Explorations, Ethics and Environment themes throughout each chapter. Make IT Work for You!